N 39° 45' 36" and E 46° 44' 59"
Shushi in Şuşa Rayonu with it's 18,662 habitants is located in Azerbaijan about 172 mi (or 276 km) west of Baku, the country's capital town. Current time in Shushi is now 03:26 AM (Tuesday). The local timezone is named Asia / Baku with an UTC offset of 4 hours. We know of 10 airports close to Shushi, of which 3 are larger airports. The closest is airport we know is Parsabade Moghan Airport in Iran in a distance of 61 mi (or 98 km). 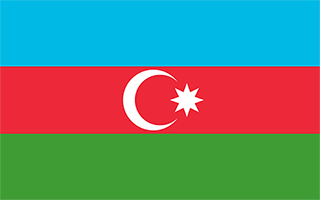 The closest airport in Azerbaijan is Ganja Airport in a distance of 71 mi (or 98 km), East. Besides the airports, there are other travel options available (check left side). There are several Unesco world heritage sites nearby. The closest heritage site is Armenian Monastic Ensembles of Iran in Iran at a distance of 87 mi (or 140 km). If you need a hotel, we compiled a list of available hotels close to the map centre further down the page. While being here, you might want to pay a visit to some of the following locations: Xocali, Lacin, Agdam, Novyy Karanlug and Fizuli. To further explore this place, just scroll down and browse the available info. Let's start with some photos from the area. 35 Nelson Stepanyan, Stepanakert, Nagorno-Karabakh Republic Phone: +374 47 973397, +374 47 973393, Fax: +374 47 973337, Mobile: +374 97 333397 E-mail: info@vallexgarden.com. 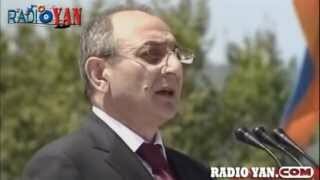 Our Message To Azerbaijan - 9th of May 2012 in Stepanakert, Nagorno Karabakh (Artsakh) Republic. 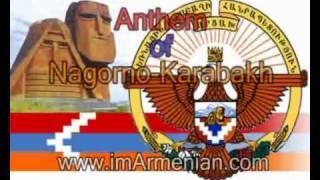 ▻ LIKE this page to be always updated: http://www.facebook.com/ArmenianRadioYan. http://www.artsakh.tv/ https://www.facebook.com/ArtsakhTV/ https://twitter.com/ArtsakhTV/ https://plus.google.com/u/1/108646189171859078805/posts http://vk.com/artsakh_tv. Shusha, also known as Shushi is a town in the disputed region of Nagorno-Karabakh in the South Caucasus. It has been under the control of the self-proclaimed Nagorno-Karabakh Republic since its capture in 1992 during the Nagorno-Karabakh War. However, it is a de jure part of the Republic of Azerbaijan, with the status of an administrative division of the surrounding Shusha Rayon. Located at 39.7583, 46.7483 (Lat. / Lng. ), about 0 miles away. The Capture of Shusha, referred to as the Liberation of Shushi by Armenians and Occupation of Shusha by Azerbaijanis was the first significant military victory by Armenian forces during the Nagorno-Karabakh War. The battle took place in the strategically important mountain town of Shusha (known as Shushi to Armenians) on the evening of May 8, 1992, and fighting swiftly concluded the following day after Armenian forces captured and drove out the defending Azeris. "We Are Our Mountains" (Armenian: Մենք ենք մեր սարերը) is a large Armenian monument north of Stepanakert, the capital city of Nagorno-Karabakh Republic. The sculpture, completed in 1967 by Sargis Baghdasaryan, is widely regarded as a symbol of Armenian heritage of Nagorno-Karabakh. The monument is made from volcanic tufa, and depicts an old man and woman hewn from rock, representing the mountain people of Karabakh. Located at 39.8371, 46.7698 (Lat. / Lng. ), about 5 miles away. Kosalar (Azerbaijani: Kosalar; also, Kesalar and Kyosalar) is a village in Khojali Rayon of Azerbaijan. Since 1992 the village together with Khojali district have been under control of the Armenian military forces. Located at 39.8114, 46.6739 (Lat. / Lng. ), about 5 miles away. Şuşulu (also, Şüşiilü, Şüşülü, and Shushulu) is a village in the Shusha Rayon of Azerbaijan. Located at 39.75, 46.7 (Lat. / Lng. ), about 3 miles away. Zarıslı (also, Zarisli, Zarist, and Zarysly) is a village in the Shusha Rayon of Azerbaijan. Located at 39.7172, 46.6761 (Lat. / Lng. ), about 5 miles away. Zamanpəyəsi (also, Zaman-Payasy and Zamanpeyasi) is a village in the Shusha Rayon of Azerbaijan. Located at 39.7497, 46.6733 (Lat. / Lng. ), about 4 miles away. Dashalty is a village in Nagorno-Karabakh, which is de jure part of Azerbaijan but under secessionist Armenian rule. The population consists of ethnic Armenians, and both the Azerbaijani and Armenian names of the village mean below-the-rock, referring to the sheer vertical cliffs towering above the village, on top of which Shusha is built. Located at 39.7417, 46.7492 (Lat. / Lng. ), about 1 miles away. Xəlfəli (also, Khalfali and Khalfalikyshlak) is a village in the Shusha Rayon of Azerbaijan. Located at 39.7669, 46.6831 (Lat. / Lng. ), about 4 miles away. Laçınlar (also, Lach’inlar) is a village in the Shusha Rayon of Azerbaijan. Located at 39.7647, 46.7103 (Lat. / Lng. ), about 2 miles away. Aşağı Quşçular (also, Ashagy Kushchular and Kushchular) is a village in the Shusha Rayon of Azerbaijan. Located at 39.8369, 46.8086 (Lat. / Lng. ), about 6 miles away. 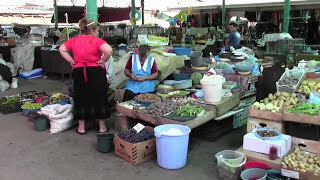 Malıbəyli (also, Malibeyli and Malybeyli) or Ajapnyak is a village located de facto in Shushi Province of the Nagorno-Karabakh Republic and de jure in the Shusha Rayon of Azerbaijan. Located at 39.8294, 46.7933 (Lat. / Lng. ), about 5 miles away. Fakhlul (also, Pakhlyu) is a village in Khankendi, Azerbaijan. Located at 39.8167, 46.7333 (Lat. / Lng. ), about 4 miles away. Sığnax (also, Sghnakh, Signakh, and Sygnakh) is a village in the Khojali Rayon of Azerbaijan. Located at 39.7211, 46.7997 (Lat. / Lng. ), about 4 miles away. Muxtar (Armenian: Մխիթարիշեն - Mkhitarishen) (also Mkhitarkent) is a village in the Khojali Rayon of Azerbaijan. In Azeri, muxtar means autonomous. Since the Nagorno-Karabakh war the village has been administered by the de facto Nagorno-Karabakh Republic as part of Askeran Province. Located at 39.7614, 46.7744 (Lat. / Lng. ), about 1 miles away. Şuşakənd (also, Shosh, Shushekend, Shushikend, and Şuşikənd) is a village in the Khojali Rayon of Azerbaijan. Located at 39.77, 46.7847 (Lat. / Lng. ), about 2 miles away. Qeybalı (also, Ghaibalou and Keybaly) is a village in the Khojali Rayon of Azerbaijan. Located at 39.7764, 46.7278 (Lat. / Lng. ), about 2 miles away. Daşkənd (anglicized Dashkend, Armenian: Դաշըւշեն) is a village in the Khojali Rayon of Azerbaijan. Since the Nagorno-Karabakh war the town has been administered by the de facto Nagorno-Karabakh Republic as part of Askeran Province. Located at 39.7972, 46.7831 (Lat. / Lng. ), about 3 miles away. 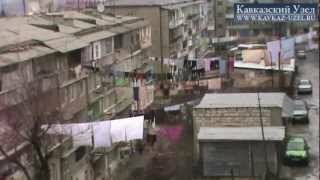 Dağdağan (Armenian: Կռասնի - Krasni) is a village in the Khojali Rayon of Azerbaijan. Since the Nagorno-Karabakh war the village has been administered by the de facto Nagorno-Karabakh Republic as part of Askeran Province. Located at 39.7978, 46.8217 (Lat. / Lng. ), about 5 miles away. Kərkicahan (also, Kərgicahan, Kirdidzhan, Kirkidzhan, and Krkzhan) is a village in the Khojali Rayon of Azerbaijan. Located at 39.8036, 46.7503 (Lat. / Lng. ), about 3 miles away. 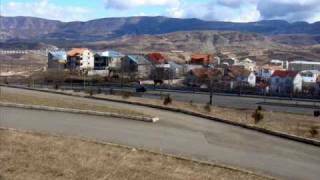 Cəmilli (also, Dzhamilli and Dzhamillu) is a village in the Khojali Rayon of Azerbaijan. Located at 39.8394, 46.7217 (Lat. / Lng. ), about 6 miles away. Qaybalı is a village in the Shusha Rayon of Azerbaijan. Located at 39.7778, 46.7292 (Lat. / Lng. ), about 2 miles away. Ganja Gate of Shusha is one of four entrance gates to Shusha fortress in Shusha Rayon of Azerbaijan. Shusha is currently under control of Armenian forces since the occupation of Shusha on May 8, 1992. Located at 39.7661, 46.7511 (Lat. / Lng. ), about 0 miles away. Malibeyli and Gushchular Massacre (Azerbaijani: Malıbəyli və Quşçular qətliamı) were incidents in which eight civilians were killed, according to Helsinki Watch, and according to Azerbaijani sources, 15-50 (exact number unknown) ethnic Azerbaijani civilians, by Armenian irregular armed units in simultaneous attacks on the villages of Malibeyli, Ashaghi Gushchular, and Yukhari Gushchular of Shusha district of Azerbaijan, on 10–12 February 1992 during the Nagorno-Karabakh War. Stepanakert Stadium is an all-seater multi-use stadium in Stepanakert, Nagorno-Karabakh Republic. Located at 39.8211, 46.7531 (Lat. / Lng. ), about 4 miles away. These are some bigger and more relevant cities in the wider vivinity of Shushi.